Caption slip reads: "Photographer: Gaze. Date: 1951-09-12. Reporter: Driscoll. Assignment: S. M. Douglas strike. #11-12: Santa Monica Douglas production workers pass welders' pickets at one of dozen entrances. 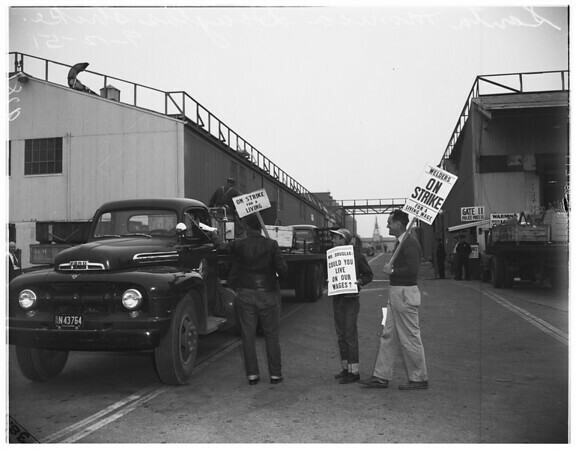 #29-38: Picket offers handbill (or talks to) Douglas truck driver at 1 of truck gates. #37: Third shift workers leave plant early today".